A hands on approach from start to finish, is how we like to produce our cabinets. 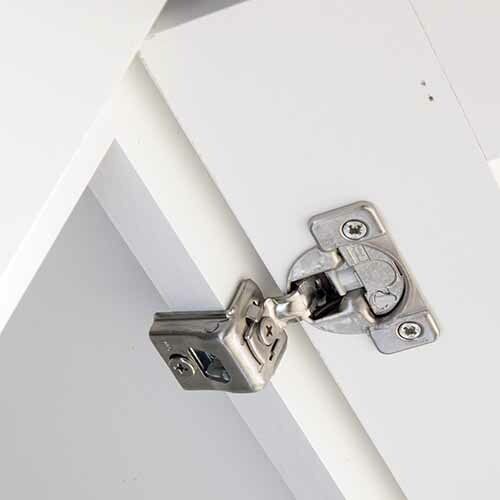 This built in quality control system not only assures you, but us, that the cabinets you’re purchasing are free from manufacturing and material defects. Individual cabinet and drawer assembly, spraying, staining and finishing through the final assembly and packaging are all done under the watchful eye of a trained craftsman. We love our work and we think you will too. 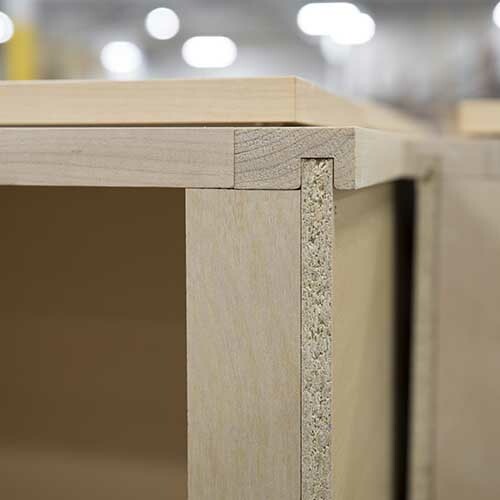 Cabinet fronts are made from solid wood. 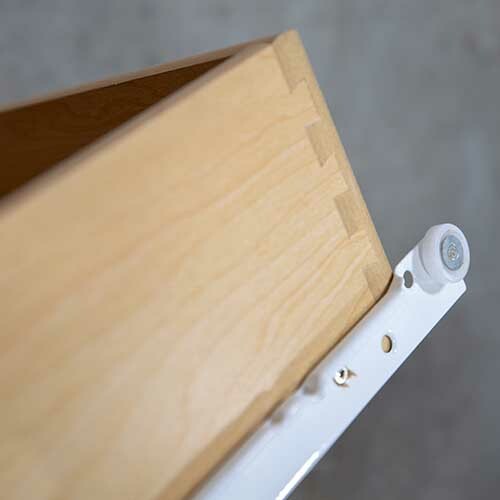 Front stiles are pocket-drilled and assembled with screws for rugged durability. Side and back panels are made from 3/8″ vinyl covered particleboard (or plywood option). Base cabinets include all wood hanging rails on the sides and back. Center panels held in place with rubber balls in the dados to allow for expansion and contraction. 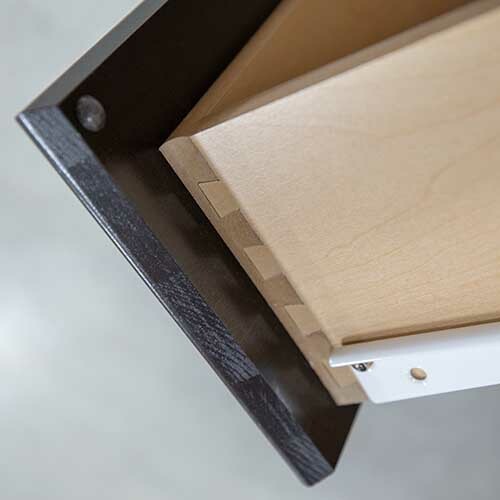 Center panels are held in place with rubber balls in the dados to allow for expansion and contraction. Vista door – ¾” composite board; available with textured laminate or a white powder-coated finish with a subtle texture.